One of the most important keys to a financially healthy practice is marketing, and not just any marketing. It has to be what’s working right now to attract your target patients. It’s true that to succeed in private practice today, you must leverage modern marketing tools and techniques to stay ahead of your competitors. 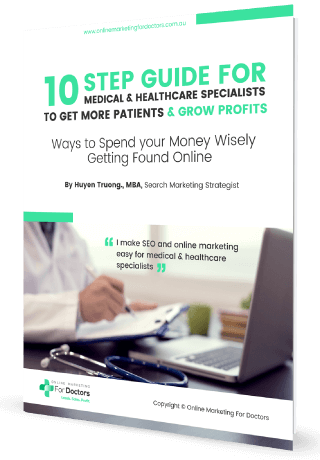 We are your host Huyen Truong and Steven Tait and you are listening to Online Marketing For Doctors Podcasts – the place to be to grow and scale profitable practices. One of the most important keys to a financially healthy practice is marketing. Not just any marketing. It has to be what’s working right now to attract your target patients. It’s true that to succeed in private practice today, you must leverage modern marketing tools and techniques to stay above your competitors. So Let’s take a look at some new school techniques you should be using in your practice. Did you know that the healthcare industries in the U.S. and Europe are actively pursuing social media outlets in promoting their business? While many doctors and dentists are somewhat cautious about joining the trend, it can’t be denied that social media is changing global healthcare marketing. Facebook had 2.2 billion active monthly users worldwide, making it the most popular social network on the planet. A major benefit of Facebook advertising is its ability to target and reach your exact audience. You can advertise to people by targeting their age group, interests, behaviours, job, location and more. And if you really know your patients, you can use Facebook advertising to engage them. Another incredible feature that Facebook advertising offers is the ability to truly engage your website visitors. Steve – Facebook advertising can drive repeat business from patients who have used the services from you in the past or have been your website subscribers. By using Facebook’s “audiences” feature, you can import your patients’ emails into your Facebook advertising campaign. This will allow you to advertise directly to the audience that is most likely to enquire and engage with you. If you haven’t already started investing in Facebook, you should consider doing so. I’m willing to bet that your competitors are already running their own campaigns, or at least will be soon — either way, the window of opportunity isn’t going to remain this wide open for long. 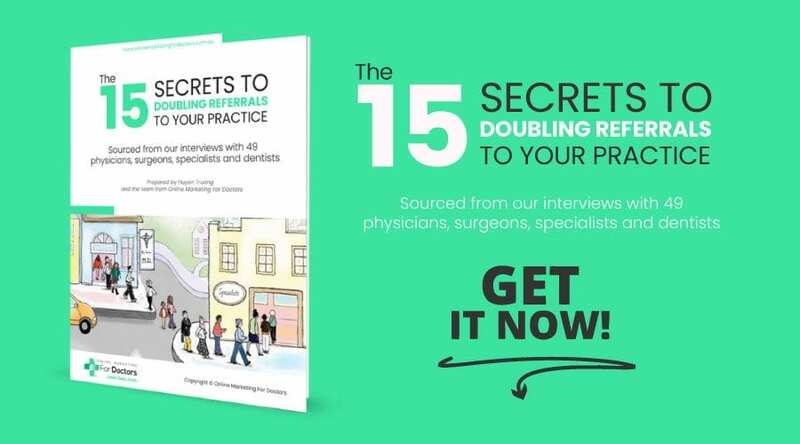 Many practices ignore the opportunity that regular blog posts present to connect to patients, provide valuable information and become an expert source. Yet, if you post regularly — at least twice a month — with information your patients are searching for, you position yourself as a health authority who they will seek out when they are in need. Consider creating ebooks or guides that provide information around a recurring topic that’s of interest to your patients. For example, an endocrinologist could offer an ebook on living with diabetes or a thyroid condition that stresses the importance of regular medical management along with nutrition and exercise. You can get creative staff members to help with graphic design or hire an agency to lay out the information for visual engagement. The end product will usually be a free pdf that patients can either print out or read online or on a mobile device. You can insert a link to the pdf in your blog and on your website. For bonus marketing points, find out how you can add a short form that will pop up when someone tries to download your ebook or guide, asking them to fill in an email address and maybe some other bit of information that would be helpful for you to know about them, such as their age or their topics of interest. Search engines are constantly evolving, and in order to get a high ranking spot in search results, you need to follow the best practices of search engine optimization (SEO). There are no shortcuts to get to the top of search results. The key is to create high quality content, get relevant backlinks and focus on local and industry niche directories. 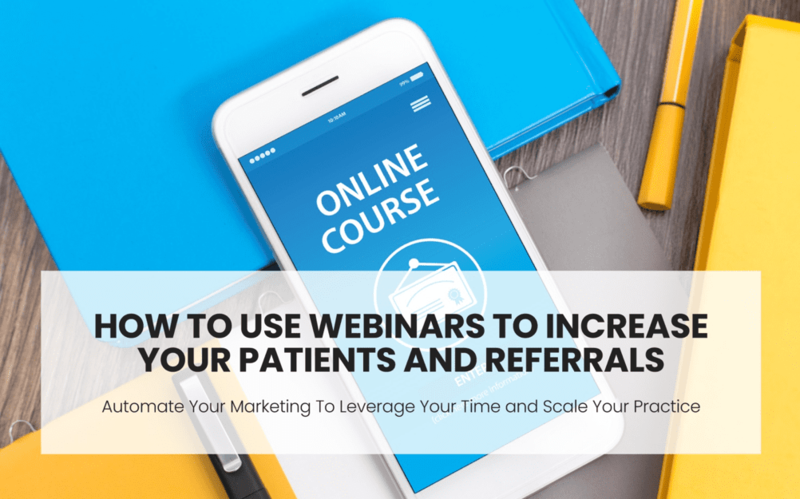 Webinars are a fantastic way to grow your practice and get more patients and referrals, especially works well for medical and healthcare practice and any premium services when users need more information and involvement before making decision. Webinar is a great way to scale your precious time and qualify prospects and save hours of presentation and lead nurturing. It is my favourite platform for our sales funnels for doctors and health professionals. There are some good webinar platforms out there that we have used such as Webinar Jam, Easy Webinars, Go To Webinars, Click Meetings, and evergreen webinar such as Ever Webinar. We will teach you how to set up new patient marketing system using webinar that will consistently deliver more patients. Once it is set up it will run on autopilot with no additional work on your part in a while. We will notify you as soon as this course goes live. According to Salesforce, podcast popularity is on the rise for both men and women. This is a very mobile friendly type of content. 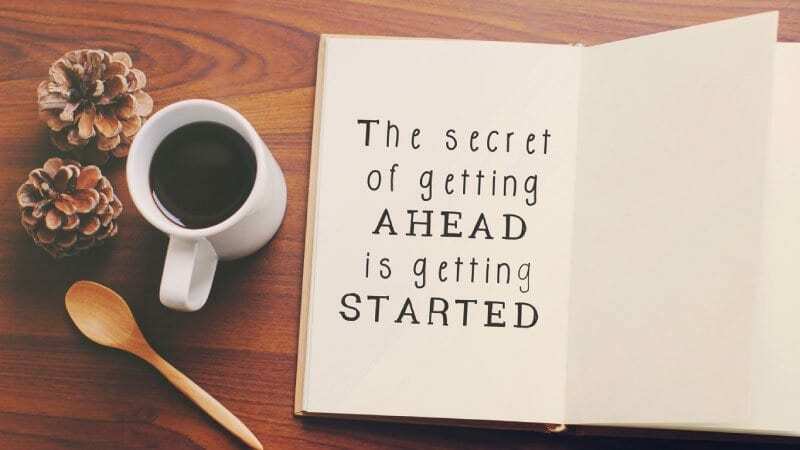 And now is a better time than ever to get involved: just as early bloggers became industry leaders when blogging became more popular, jumping on the podcast bandwagon has the potential to place you at the forefront of this little industry as it explodes. With a basic microphone and free audio editing software like Audacity, you can get started now – it’s not about how you say it, but about what you say. Here is the Top tip: The hardest part of making good content is knowing what content to make. But answering your patients’ frequent questions will never be wasted: kick your podcasting efforts off with an in-depth FAQ series, setting yourself up as a thought leader in your industry. And we’ve love to hear from you, So we have the last question for you, what are some other new school marketing techniques that you have used and have worked for you brilliantly for your practice? So leave your comments now, once you are there be sure to subscribe to our blog and become OMD insiders, you will get instant access to our training, video, podcasts and ebook library. We hope that you enjoy this episode and we will catch you next time.